Have you ever walked into a business and thought, “Wow!”? Do you remember why? No doubt, they put plenty of thought and money into how well that room was utilized, in addition to a well thought out design plan. The first thing a client will see when visiting your business is going to make that all important first impression. So, retroactively how your reception area is furnished makes a big difference. 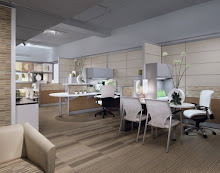 Having an organized space/work area for the receptionist brings a sense of ownership and improves overall efficiency. As a business owner or decision maker, taking a moment to think about how your receptionist will use that space can be paramount in the overall effectiveness and enjoyment of the space. To help define the best use of the space, ask questions like, “Are they working on things that you don’t want incoming traffic to see?” and/or “Will clients be signing paperwork?” If the answer is yes, a unit with modesty panels and a counter will be most appropriate. If no, then a simple Desk or L Shape unit is a popular ergonomic choice. How much usable room do you have to work with in your space? “L” shapes and “U” shapes are popular choices. 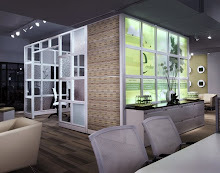 Or if the area is small, maybe just a basic 30x60 or 36x72 desk will be sufficient. Are there architectural elements in the space? For instance, a large wall with a logo behind the reception desk may be enhanced with a sofa table or Storage Credenza and tall table lamps. Or if the room has curved walls, planning the seating in a curved, wraparound shape will give the area a “designed for it” feel. What kind of storage will they need? File drawers, utility drawers, door storage are all built in options for Reception Desks. For computer needs, a keyboard tray, CPU storage, Monitor platform, door storage for paper & software are also handy. Who will be coming in? If potential buyers/clients will be coming in, you may want to spend more on this area and save money in some of the back offices or storage areas that won’t be seen. Of course, much of this is determined by the industry your company is in. A Graphics & Design firm may want to show off their artistic flair by going with lots of color and forward thinking, modern furnishings for those clients coming in to view proofs. An Oil company or Law firm may want to use the Old world or classic traditional theme, while a Manufacturing or Distribution company may do outside sales and never have clientele coming in, just suppliers. So they may just want functional metal furnishings for the person “out front”. The goal is to spend your business dollars in a way that makes the most sense for the way you do business. A seating arrangement that makes sense with the flow of traffic can make a big difference in how efficiently your visitors are greeted and directed, and then how comfortable they will feel in your space. How much seating will you need? Do chairs, sofas & loveseats or a combination of the three make the most sense for you? Meeting with a professional consultant or designer can be very helpful in narrowing down your choices while staying within your budget. They can sit down with you and find out what makes the most sense for your business needs. Making suggestions like standardizing seating so that seats can be pulled from other areas as needed, is just one of the ways to help you think flexibly and plan for growth. 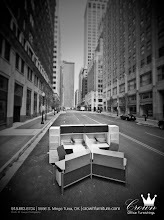 The idea of adding flexibility by standardizing seating so it is multi-functional is very good. I would point out that even when your clients won't see your office furnishings it makes sense to stay away from dreary grey furniture. Employee attitudes and productivity are affected by their work environment. This ends up impacting customers even when they never set eyes on the furniture themselves. 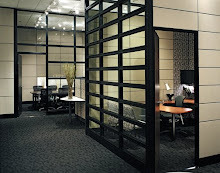 Yes, how your reception area is furnished makes a big difference. So if you want to nail that first impression, you should care about selecting the right furnishings. A key to make it all work for one another is to ensure that their styles, colors and shares complement one another in a way that boosts the overall appeal of the reception area.